On Sunday 25th November I joined maybe ten people for a Sherlock Holmes lunch at an old hotel, the British, in North Adelaide. Steam style was not mandatory but at least half wore traces of it. 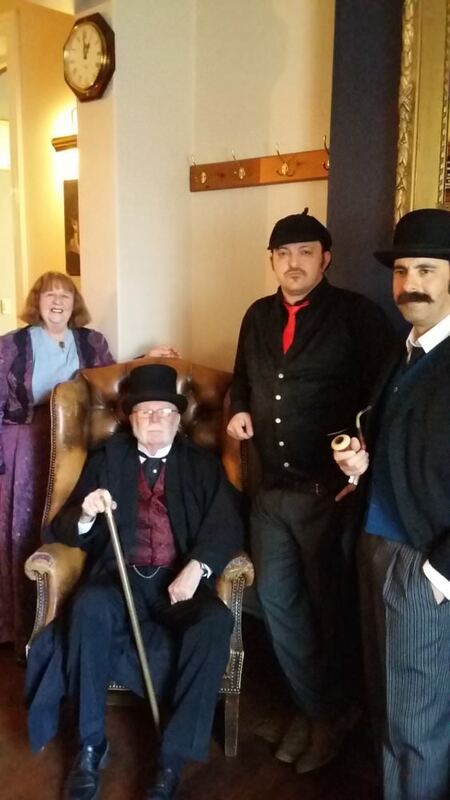 I probably need a better phone camera but here I am as Mycroft, with Mrs Hudson, Watson and Holmes. If anyone's interested I chose octopus for lunch. Freshly harpooned. You all look superb on your finery. Did you take down your own kraken , you brave man? Thank you; and no, the venue kindly provided their own kraken done in breadcrumbs.